Alcohol is the #2 cause of death worldwide. 100,000 persons die each year from alcohol-related causes: drinking and driving crashes, other accidents, falls, fires, alcohol-related homicides and suicides. Because of the astounding 80,000 deaths that are related to alcohol abuse every year, alcohol abuse is the third highest cause of death in the U.S. Approximately 7,000 children in the U.S. under the age of 16 take their first drink every day, which is a major problem because those who begin drinking before age 15 are four times more likely to develop alcoholism than those who begin at age 21. Chronic Disease: High blood pressure, heart disease, stroke, liver disease, and digestive problems. 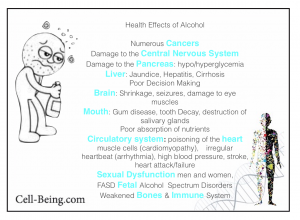 Alcohol kills tens of thousands yearly consuming health by many insidious routes through out the body. The effects of alcohol are far reaching, operating on many levels. A glass of alcohol a day is NOT good for us, it does not relax us, and yes even a small amount can have numerous, detrimental health effects. The Many Effects of Alcohol was assembled to bring together health specialists from a number of different perspectives, to educate the public on the facts, and dispel the many myths associated with alcohol consumption. The effects of alcohol start with the very first drink. Our goal is to educate. Alcohol is justified and rationalized into lives constantly. We all make decisions. Let’s base our decisions on scientific fact, not rumours and here say. One does NOT have to be an “alcoholic” to suffer the many debilitating effects of alcohol. 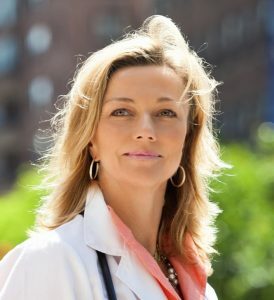 Castle Connolly and New York Magazine have selected Dr. Andersen as one of New York’s Best Doctors every year since 2010. She speaks extensively on preventive cardiology, cardiovascular disease in athletes and in women. 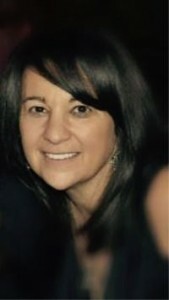 Holly Andersen is a medical advisor to the Ladies’ Home Journal. She has been an on-air medical consultant to ABC World News Tonight, CBS Evening News, NBC Evening News, The Today Show, Good Morning America, The Early Show, The Fox Television Network, The Fox News Channel, The British Broadcasting Company, and MTV. 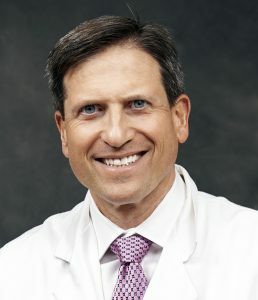 Andrew Siegel, M.D. is an honor graduate of Chicago Medical School and completed a residency in urology at University of Pennsylvania School of Medicine. He pursued a fellowship at UCLA School of Medicine in voiding dysfunction, incontinence, and female pelvic reconstructive surgery prior to entering private practice. Dr. Siegel is dual board-certified in urology and female pelvic medicine/reconstructive surgery and serves as Assistant Clinical Professor of Surgery at the Rutgers-New Jersey Medical School. He is a Castle Connolly Top Doctor New York Metro area and Top Doctor New Jersey. He is passionate about wellness advocacy and educating the community about healthy lifestyle measures. He is the author of many scientific articles and four books: THE KEGEL FIX: Recharging Female Pelvic, Sexual, and Urinary Health (www.TheKegelFix.com) ; MALE PELVIC FITNESS: Optimizing Sexual & Urinary Health (www.MalePelvicFitness.com), PROMISCUOUS EATING: Understanding and Ending Our Self-Destructive Relationship with Food (www.PromiscuousEating.com), and FINDING YOUR OWN FOUNTAIN OF YOUTH: The Essential Guide to Maximizing Health, Wellness, Fitness and Longevity (www.FindingYourOwnFountainofYouth.com). 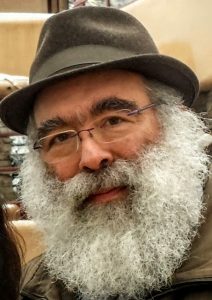 Dr. Michael Diamond, Psychiatrist: Dr. Diamond is a graduate of the University of Pittsburgh School of Medicine where he also completed his residency in Psychiatry at the Western Pennsylvania Institute and Clinic. He is a Fellow of the American Psychiatric Association. He has been listed in the Washingtonian Magazine annual list of top doctors for the past two decases. Dr. Diamond maintains a private practice in Chevy Chase, Maryland. He treats the full spectrum of psychiatric illness using his skills as both a psychopharmacologist and a psychotherapist. His areas of special interest include mood disorders, anxiety disorders, trauma, obsessive compulsive spectrum disorders and psychiatric manifestations of neurological disorders including traumatic brain injury. 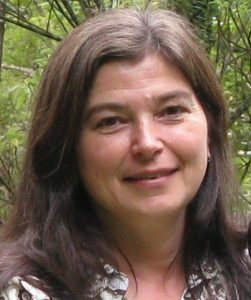 Dr. Diamond has a longstanding interest in meditation and Chinese Medicine. He collaborates with a wide range of Western and non-Western practitioners in the D.C. area. Dr. Diamond is also a poet and has published a poetic translation of The Song of Songs. He is a passionate advocate for finding the spiritual component in his patients’ recovery.